SJ Singer - another "musical" pattern. Its developers, SmartAddons, added 4 different types of color schemes and provided a template for 30 positions selected by the user modules. The template is equipped with a number of extensions based on Yt Framework, which greatly enhance the functional created site: Content Slick Slider, News Ajax Tabs, News Extra Slider, Filtering Articles, Module Tabs, Facebook and Twitter. Also a plus is the implementation of the template developers support browsing from mobile devices. 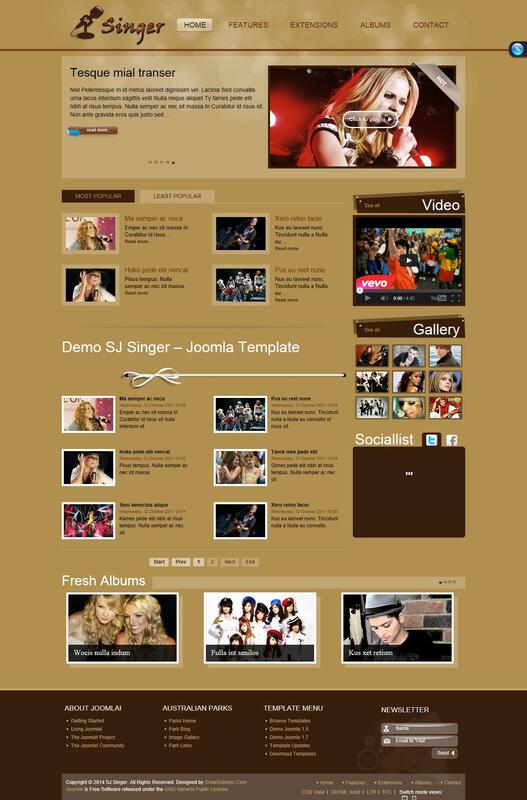 Template SJ Singer - the perfect choice for creating websites musical themes.